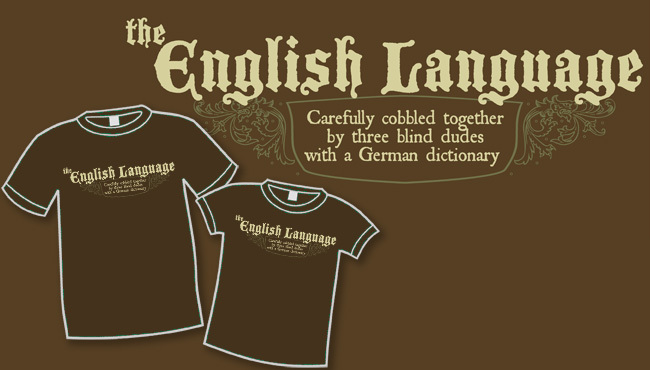 English is in Terminal Decline…. Again! 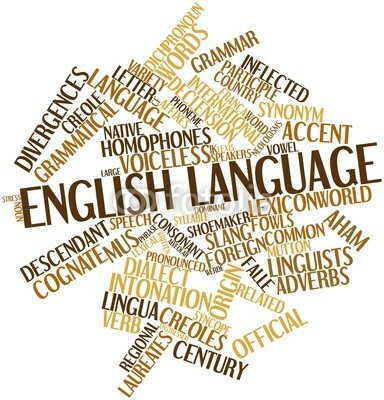 The concerns that English is difficult to learn and is in decline is almost as old as the language itself. The average schoolchild can hardly write, one author has recently warned. Well, not that recently perhaps. It was William Langland, author of “Piers Plowman“, who wrote that, “There is not a single modern schoolboy who can compose verses or write a decent letter.” He died in 1386. English has been getting worse ever since. In 1387, Ranulph Higden, a Benedictine monk and historian, found the culprit in language mixing: “By commiyxtion and mellyng, furst wiþ Danes and afterward wiþ Normans, in menye þe contray longage ys apeyred and som useþ strange wlaffyng chyteryng, harryng, and garryng grisbyttyng.” That is to say (in case your Middle English is rusty) that English speakers had taken to “strange, articulate utterance, chattering, snarling and harsh teeth-gnashing”, bad habits he put down to the mixing together of Anglo-Saxons, Vikings and Norman French. The wailing throughout the history of the language, by people convinced that the end is nigh, can be a bit exhausting over a full survey. But it holds a lesson: language is not constant. Change is—and anxiety about change is constant too. Indeed, I believe that the only people who welcome change are babies with wet nappies! In 1577 Richard Stanihurst praised the English spoken by old English settlers in Ireland. Because of their distance from the mother country, they had not been affected by, “habits redolent of disgusting newness”. It is not their plots which I meant, principally, to tax; I was speaking of their sense and language; and I dare almost challenge any man to shew me a page together, which is correct in both. … [M]alice and partiality set apart, let any man who understands English, read diligently the works of Shakspeare and Fletcher; and I dare undertake that he will find in every page either some solecism of speech, or some notorious flaw in sense. our Language is extremely imperfect; that its daily Improvements are by no means in proportion to its daily Corruptions; and the Pretenders to polish and refine it, have chiefly multiplied Abuses and Absurdities; and, that in many Instances, it offends against every Part of Grammar. Perhaps the greatest writer to be persuaded of declinism was George Orwell, who wrote in 1946 that, “Most people who bother with the matter at all would admit that the English language is in a bad way.” The essay in which he tried to stop the rot did little good, at least as far as his successors were concerned. Dwight McDonald wrote in his 1962 review of Webster’s third New International Dictionary about modern permissive attitudes, “debasing our language by rendering it less precise”. In 1973 “Newsweek” explained, “Why Johnny can’t write” on its cover. That same year, a young Lynne Truss finished school in England. She would go on to sound the alarm in what would become the modern stickler’s book-length battle-cry, 2003’s “Eats, Shoots & Leaves”. This is in no way limited to English. I have just been sent a press release for a book called “Bin ich der einzigste hiere, wo Deutsch kann?” (“Am I the Only One Who Speaks German Here?”) with a few hard-to-translate mistakes in the German title. German has also been in decline for a while: 1974 saw the publication of Die Leiden der Jungen Wörter, “The Sorrows of Young Words” (a pun on Goethe’s Die Leiden des Jungen Werthers, the “Sorrows of Young Werther”.) Even Jakob Grimm (1785-1863) thought that German had been more expressive and elegant hundreds of years before his time. Have young people too lazy to learn to write been with us since the very beginning? A collection of proverbs in Sumerian—the world’s first written language—suggests that they have: “A junior scribe is too concerned with feeding his hunger,” contends one. Another states: “He does not pay attention to the scribal art.” It seems that the slovenly teenager, not to mention the purse-lipped schoolmaster, is at least 4,000 years old!